We just haven't got a clue - ow ! Buster, Buster, to Block Buster ! The Patrol covered this song by The Sweet at South Trafford College, Altrincham, in 1980. 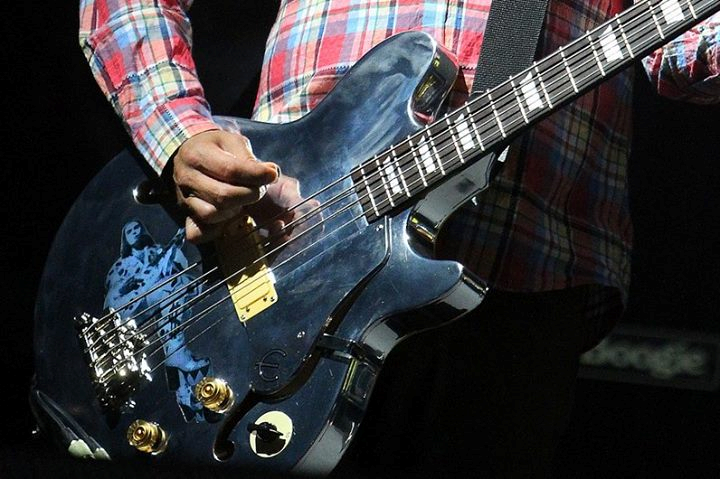 Top two rows: Ian Brown performing on bass. 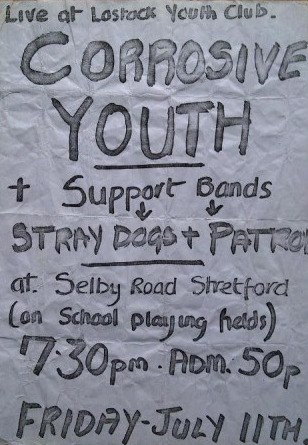 Third row (left): Lostock Youth Club flyer, 11th July 1980. 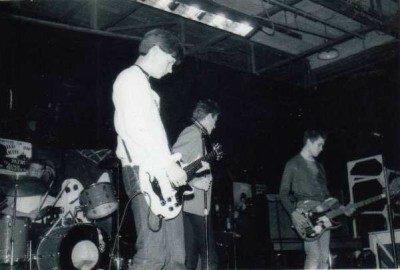 Third row (right) & bottom row: Photographs of The Patrol performing at South Trafford College, 1980. Ian makes the transition from bass to vox, and gets his first real taste of being a frontman. 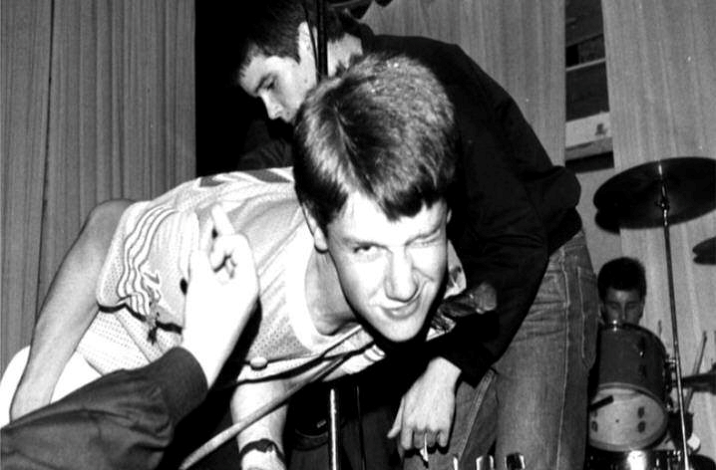 Glam Rock informed the musical tastes of many pre-punk teenagers, and The Sweet were Simon Wolstencroft's obsession till The Clash came along. The Patrol covered this 1973 glam rock classic for their closing song at South Trafford College, Altrincham in 1980; this appearance at the institution where Brown and Squire were both educated, was, fittingly, The Patrol's final gig. 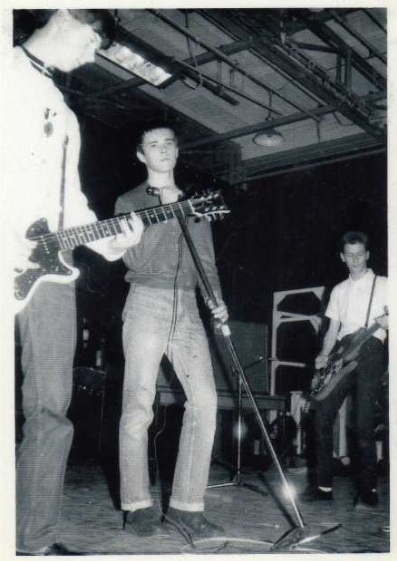 In a moment of spontaneity (and one which pointed the way to their future), Ian threw down his bass for this song and took over on vocals for the first time (with Andy Couzens briefly deputizing on bass). 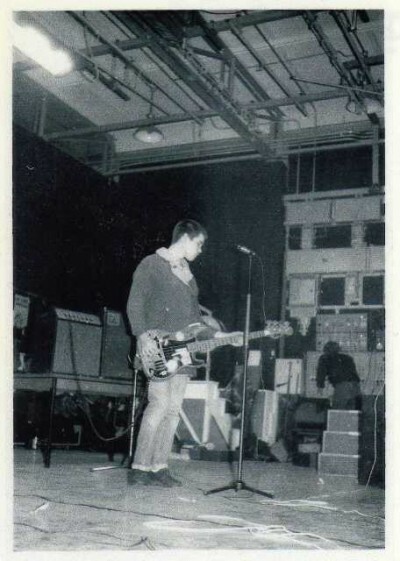 After the gig, Ian sold his bass guitar for £100, bought a 1966 Lambretta J125 scooter from Braithwaite's, Stockport and joined a North Manchester scooter club. 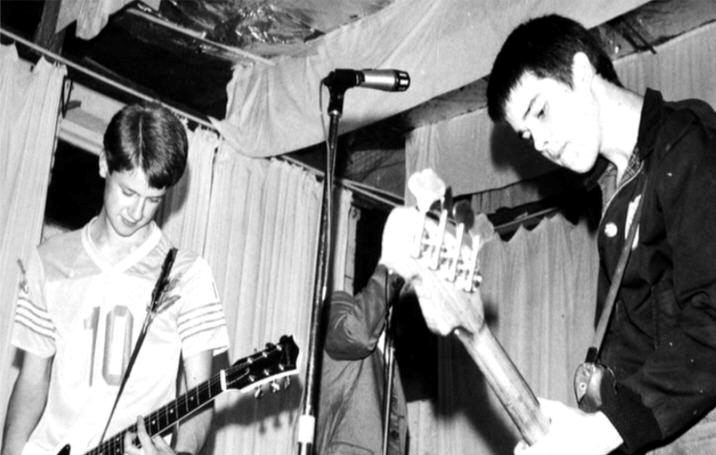 Block Buster (also a live favourite of Cockney Rejects) was The Sweet's sole UK #1 hit. Released in January 1973, it spent five weeks at the top of the UK Singles Chart. The wailing sound of air raid sirens allude to the blockbuster bombs dropped in World War II. 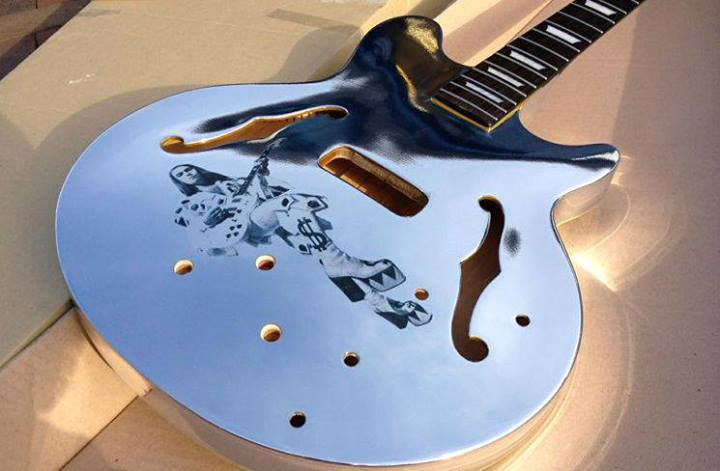 In 2012, Jim Lambie designed this chrome bass for Mani, which show Slade's Dave Hill in action.